The beautiful aroma of fresh roses and juicy peaches are beautifully combined in this soap. This is one of The Little Soap Store's signature scents that won't be found anywhere else. This listing is for one 6 ounce glycerin soap. 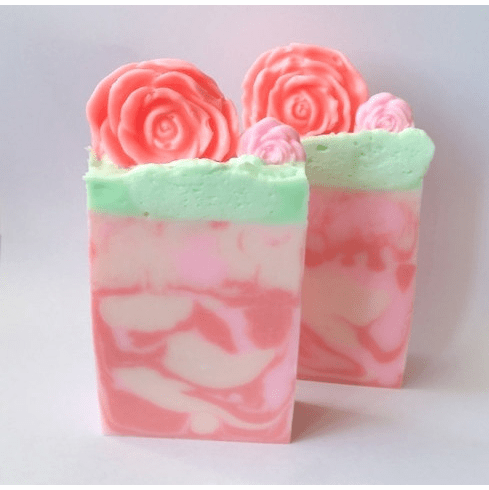 Each soap is topped with one large peachy coral rose and a smaller light pink rose. Made with no sulfates, parabens, or detergents. Plus, soap contains heaps of mango butter, jojoba oil, and avocado oil for extra goodness. Each soap comes individually wrapped.